AI has been a talking point for years now as companies try and envision a world where robots help drive production. There are several ways this could manifest itself and some are already showing up in major company supply chains. Businesses can see this as a sign of the need for transformation, now that technology is finally making major changes possible. BMW Blog profiled the famous car company's use of Smart Transport Robots in a German plant. According to this source, the factory is using 10 battery-powered units to help facilitate production, with the self-driving robots able to move self-guided around a space. This is part of a five-month initial program and apparently consists of two parts: the roving units themselves, and connected "tugger trains" which navigate using laser signals and multiple units to carry goods. The video included on the blog shows the STR's capable of lifting carts filled with boxes and carrying them to designated locations. The units can also reportedly respond to obstacles in their path, while keeping emissions low. BMW Group Head of Logistics Jürgen Maidl described both the productivity and sustainability that can come from this new advance in the supply chain. "Logistics is the heart of the BMW production system - and the use of innovative and digital technologies will become a key factor in our complex logistics processes," Maidl said. "At the same time, sustainable, resource-efficient solutions are also important to us. We are already testing the technologies of the future in a whole series of pilot projects." The freedom from fixed tracks is an obvious part of the STR's appeal, and it's affecting more than just the auto industry. Back in September, the Wall Street Journal reported on the role Symbotic LLC's robots are playing in the food distribution industry. The Journal also added that this industry typically has not embraced automation the same way as others, representing a possible new area for them to triumph in. "Self-driving cars and trucks are just one possible way this phenomenon could manifest itself." Self-driving cars and trucks are just one possible way this phenomenon could manifest itself. Instead of replacing work that humans could do, automated transport could also assist them in getting to work, as a public self-driving transport project in Japan might indicate. This is the electric Robot Shuttle, first unveiled this summer but now undergoing trials. CNET didn't specifically mention a supply chain purpose for this development, but as with the STR there are possible implications for any business that might depend upon easy access to personnel. 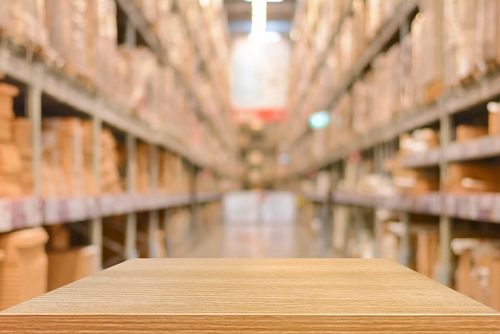 Beyond the technology itself, a changing approach to implementing AI could also dictate the new direction for warehouse management. Earlier this month, WIRED identified a new way of considering automated labor in the factory: With the latest updates in AI, individual units can become more versatile, taking on multiple tasks and saving the company money that might have gone to several different systems. And since robots are reportedly getting less expensive anyway, there's already an ROI value to be had. WIRED also said that self-driving ships offer to pose disruption as well, bringing self-correcting supply chains to an international level. Supporting all of this could require greater use of data centers, with the managed IT services to back them up. Supply companies should remember the necessary changes that these new updates require.